Distinctives discussed include the authority of Scripture, freedom of conscience, believer's baptism, baptism by immersion, separation of church and state, and congregational church government. - Publisher "The Baptist Way "is an introduction to the principles that distinguish Baptists from other Christians. In some cases these ideas were once peculiarly Baptists, though they are now more widely held among other groups. For Stan Norman, healthy Baptist churches intentionally and diligently adhere to their Baptist distinctives. 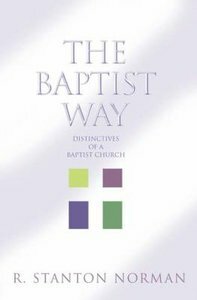 "The Baptist Way "is an introduction to the principles that distinguish Baptists from other Christians. In some cases these ideas were once peculiarly Baptists, though they are now more widely held among other groups. For Stan Norman, healthy Baptist churches intentionally and diligently adhere to their Baptist distinctives.